The monsoon season in Indonesia usually lasts from November to March of the following year. In early February, the heavy rainfall resulted in serious flooding in Bangka Belitung, forcing over 4,000 residents to evacuate. In early March, another rainfall caused more serious floods in Bandung, affecting 5,900 families equal to about 24,000 people. Due to the flooding in February, more than 20 shelters and medical stations were set up at government buildings, mosques, schools, and sports stadiums in Bangka Belitung. Volunteers of Tzu Chi Foundation in Indonesia mobilized within one week to conduct free clinic and offer medical assistance and aid supplies. Tzu Chi also provided daily necessities, including infant formula, toiletries, blankets, and sarongs to the victims quickly. The flood victims said were grateful to Tzu Chi volunteers because Tzu Chi's assistance was the first form of help they received after the flood. Most of all, the Tzu Chi volunteers provided affected residents with spiritual support and love to ease their anxious hearts and help them get through the tough days ahead. In March, continuous rain created more serious floods in Bandung, overflowing the river and affecting more than 24,000 people. In some areas, the floods were three meters deep. The flooding covered approximately 35,000 houses, resulting in two people dead and three missing, with approximately 430 families in Bojonsoang forced to evacuate to temporary shelters. After investigating the disaster, Tzu Chi volunteers immediately cooperated with the Indonesian Red Cross association to donate supplies to the 9th Street residents (four hundred and thirty families equal to 2,000 affected people), and the 10th Street residents (four hundred and ten families equal to two thousand affected people). Tzu Chi volunteers also worked with the military to distribute the goods. The delivered food and relief supplies included eggs, instant noodles, mineral water, cooking oil, soy sauce, toiletries, canvas, Tempeh, clothing, toothbrushes, toothpastes, tofu and etc. When the Red Cross set up a public kitchen in a disaster area, Tzu Chi volunteers also provided food and helped cook for the victims. 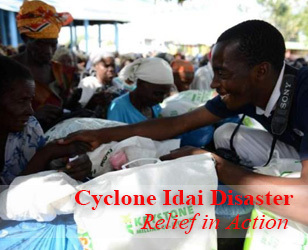 Tzu Chi volunteers organized relief work quickly and professionally. The flood victims were grateful that Tzu Chi was the first organization to help the victims. 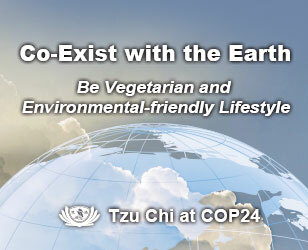 They fully recognized that whenever a disaster hits, Tzu Chi will always be there. 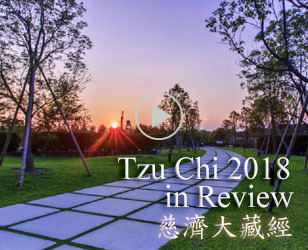 Most importantly, in addition to medical treatment and advice, Tzu Chi volunteers showed love and compassion, which are two of the best remedies for life's troubles.